The horn strobe combo from Macurco works with DVP-120, DVP-120M control panels as well as Macurco 6 & 12 series detectors. 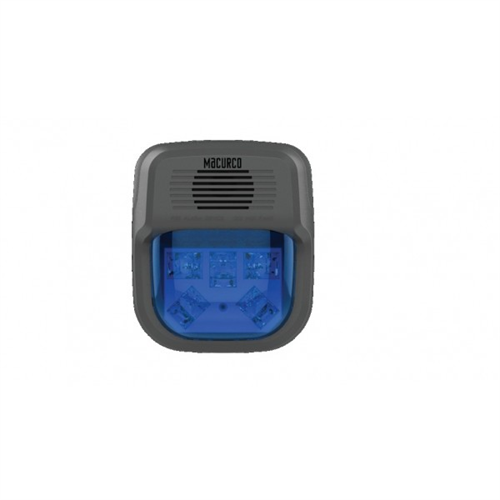 A blue, high powered LED provides a visual signal. The candela can be adjusted on the strobe at 15, 30, 75 and 110cd. The horn can be sent to either continuous or temporal 4 depending on your individual needs.